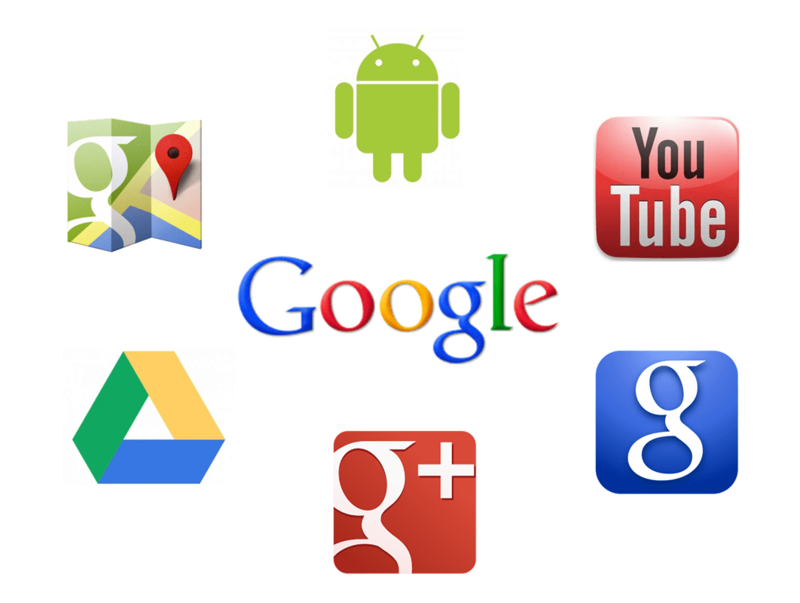 One of the questions I receive a lot is the relation between Google+ and search. I commonly hear “of course Google+ impacts search”, but when pressed most don’t fully understand to what extent. Google+ is one of the more misunderstood properties when it comes to mapping it’s value for a social strategy. The key is not to look at Google+ from just a social lens. Google provides an incredibly powerful ecosystem for a brand but when it comes to strategy Google is often a secondary area of consideration because of the separation of traditional SEO and the entities that manage social properties or the disconnect between paid & owned strategy. 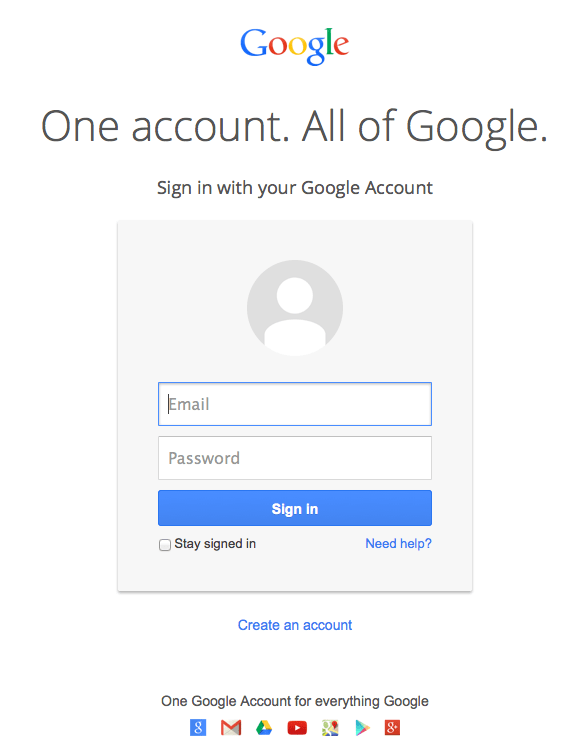 Think about the three primary points of entry, Google, YouTube & Google+. Google is the primary search engine for a majority of the world, YouTube is the #2 search engine and a key point of distribution for video content and the Google+ represents the future of where Google is building the intersection of search & social via contextual search driven by engagement. So I thought it would be interesting to test the impact of Google+ content on search and the impact of content discoverability. 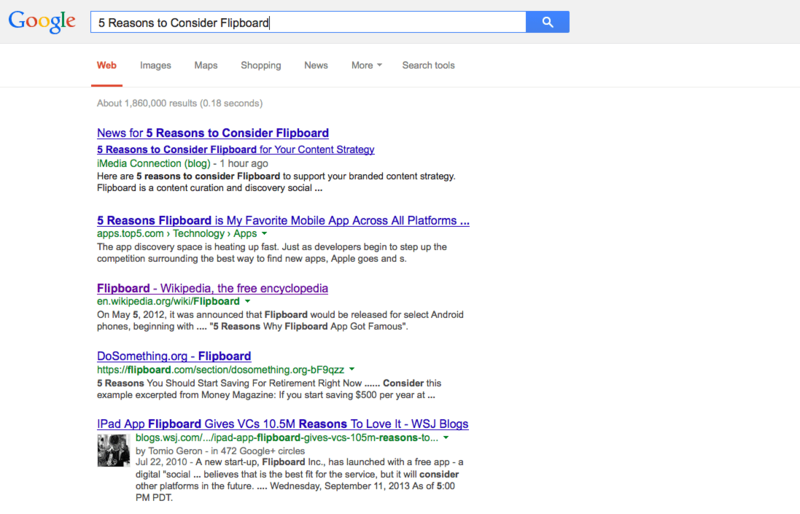 I continue to be impressed by how timely Google is mapping newly created content into search results. 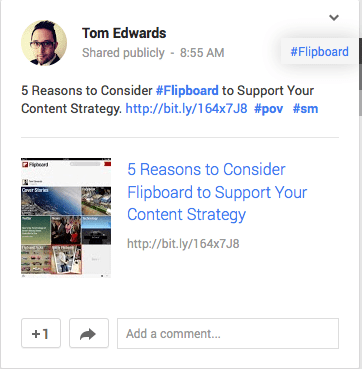 You can see that a Google+ post that I added is already associated with the topic in a search query for a broader topic “5 Reasons to Consider Flipboard”. I wanted to understand the point of differentiation from a contextual placement vs. standard. Step 3: Try this while logged out to see if you get the same result. Step 4: If I don’t appear in your results please follow me on Google+ and see if that changes your results. Step 5: Please send me a quick note directly to me that outlines at which step the content appeared to you if at all. Why the experiment? One of the key elements we need to constantly consider from a content strategy standpoint is the impact that posting through Google+ can have from a search perspective vs. engagement. If the domain is verified and the author is mapped as a contributor via their personal Google+ profile, content created will associate elements of the authors Google+ profile in search results (You can see my Google+ profile pic is shown in conjunction with the post). Understanding the reach of the end result of Google authorship and if this is purely contextual vs. standard is of interest. The Results: For those who were not following me prior to the experiment my social content did not have any association with their Google results either logged into Google+ or logged out. The association did not become apparent until the user had added me to their circle, then 100% of the users saw the content within the next 24 hours. Content that is optimized for contextural search, including correct usage of hashtags, keywords, etc… will show in search results within minutes of posting to Google+. If a user is following you via a circle and happens to search on the topic you just posted about in the traditional google+ ecosystem, they will see your post towards the top of the 1st SERP (Search Engine Results Page). 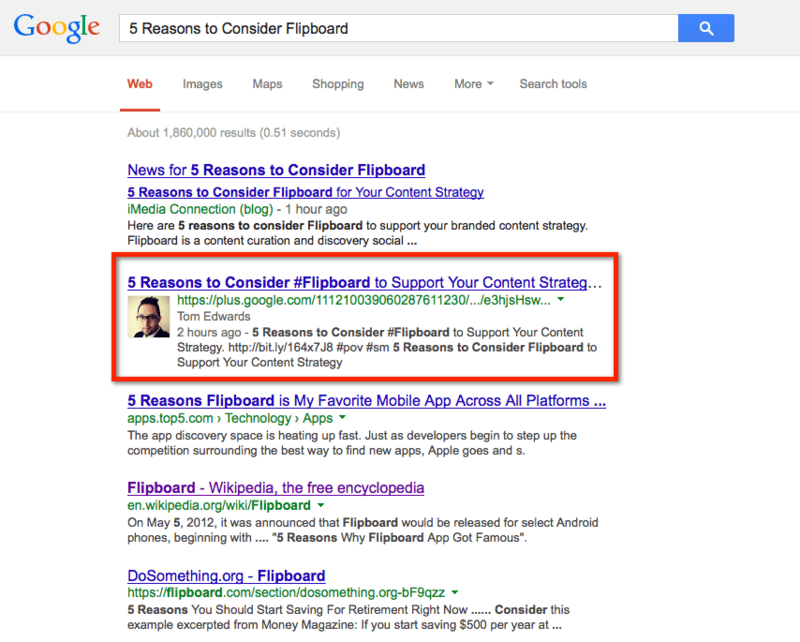 As a brand, topical content shows towards the bottom of the 1st SERP for those that in your circles. 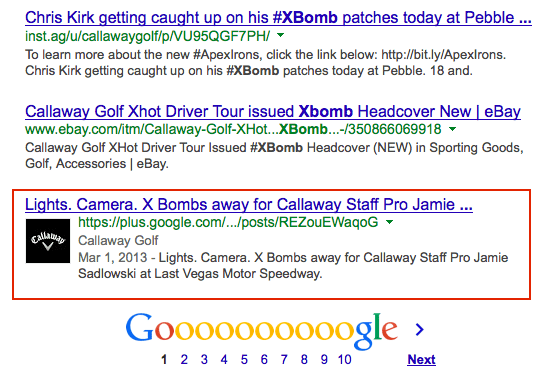 I am a follower of Callaway Golf, and their Google+ topical content now displays in my SERP. The final signal to Google is via engagement. If the content gets a significant amount of engagement (Threshold TBD) then the content has a higher probability of the content shifting from contextual to standard, meaning the content is now discoverable outside of those in immediate circles. This is one of the driving factors behind driving circle growth within Google+. It is less about Google+ as a social platform, and more about mapping social content into a more traditional point of consumer discovery. Google will continue to be a key ecosystem to consider in mapping larger integrated digital campaigns. 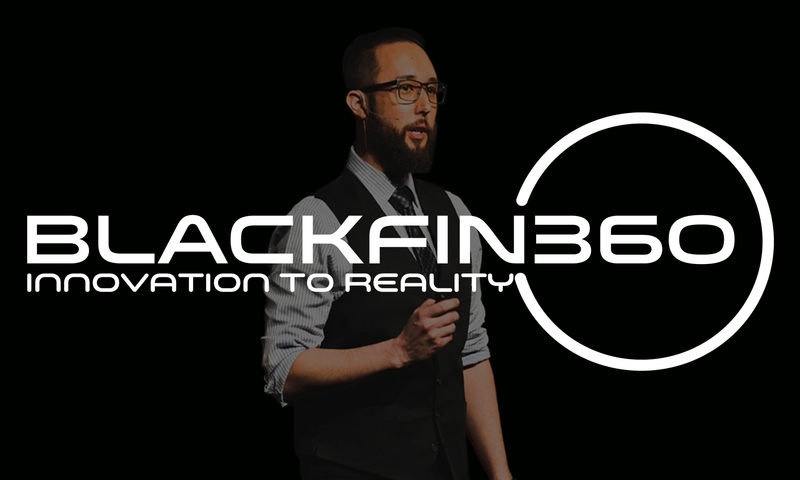 Especially with the increased focus on content creation, discovery & distribution, understanding how to amplify the content and create contextual associations between socially created content and search will be a key point to consider as contextual search moves to the center of the Google ecosystem.